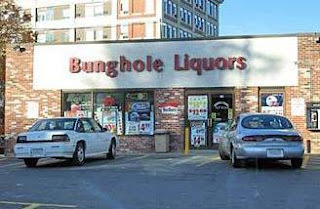 If they ever merge with the AA Liquor Market, the possibilities would be endless! Years ago, Tony Damata alerted me to this liquor store in Salem, Massachusetts. Let's everyone thank him. Wow, This takes me back. I was in Chicago land, in my first apartment, with my first internet connection. Absurd Gallery ,how I have missed thee.